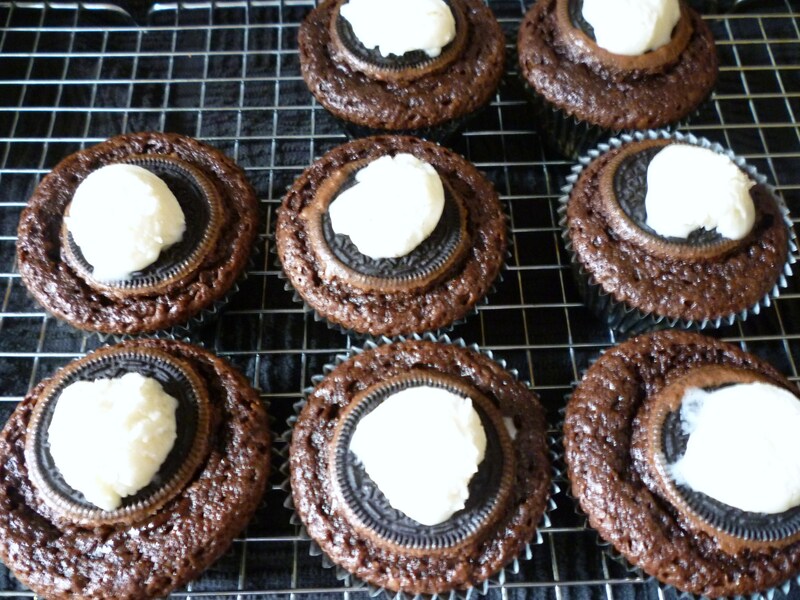 This was an experiment … I have made brownie cupcakes before and love the convenience of single servings, no cutting required … but I have never stuffed a Oreo in one. 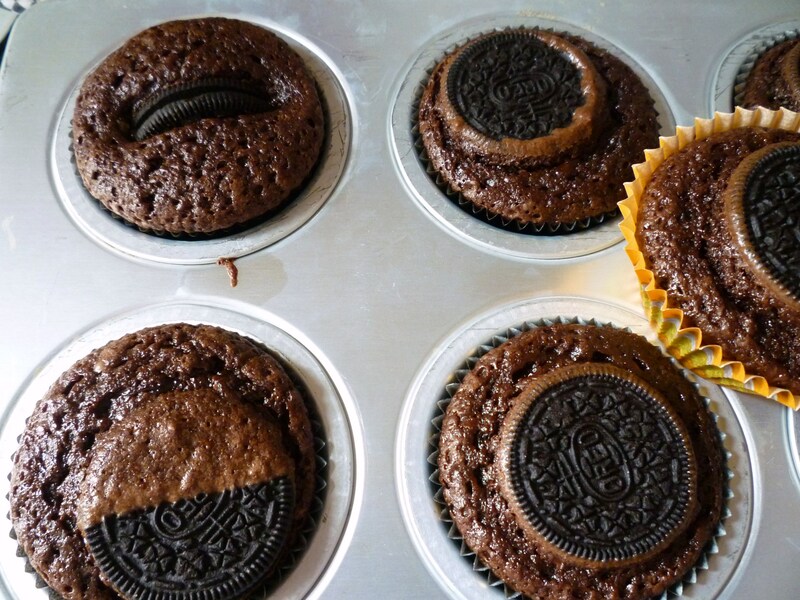 I have seen many recipes recently with Oreos inside cupcakes, cookies and brownies, so I gave it a try. I will do it again, but it will probably be an experiment again! First of all, I must confess that I used a brownie mix. You see my family prefers brownies from a mix over brownies from scratch. So, I keep my family happy and my life simple! 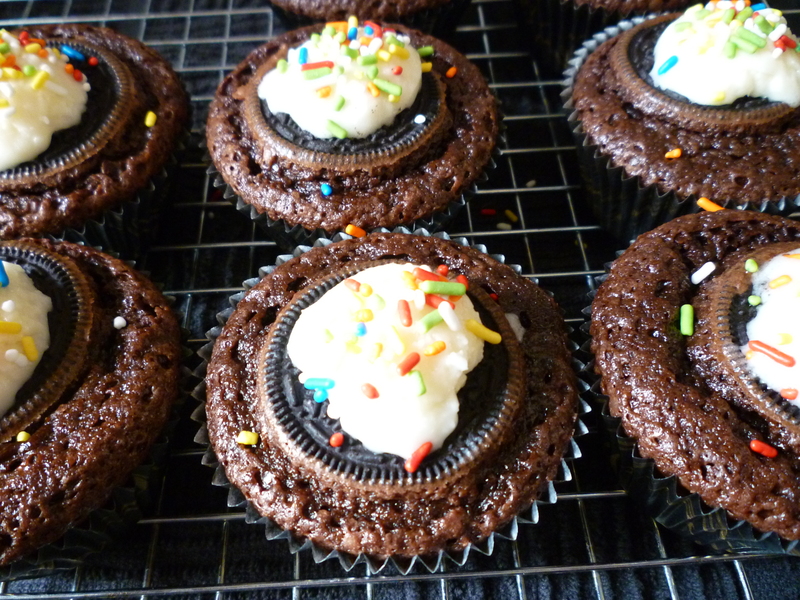 These Brownie Oreo Cupcakes were very easy and tasted good. Let me know if you try it this way or another … I always appreciate input! Just leave a comment below …. I listed this recipe on “it’s a blog party!” … click on the image below to get more great recipes! Thank you. 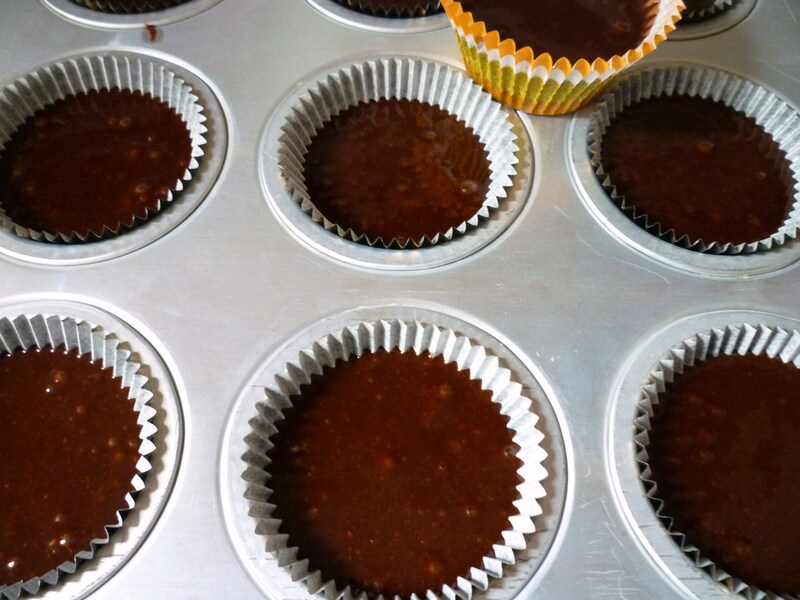 If you like chocolate … these are for you! I also like it … and was surprised that it didn’t sink in a little bit. I enjoy your blog! 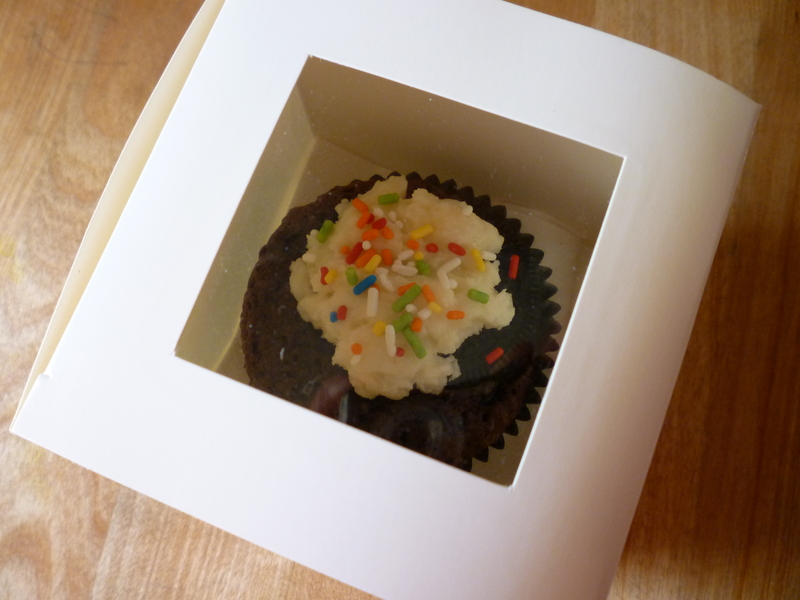 Yummy – perfect little treats! Am not a big oreo fan, but will give it a try. They look so good!! Maybe you could try a different cookie in place of the Oreo. Keep me posted. I am not an Oreo cookie lover, but when I tried this delicious brownie, I couldn’t help but love it. After all, I am a brownie lover. Thanks for letting me be a guinea pig. Well I thoroughly enjoyed this delightful treat and yes I am a chocolate lover and I love oreos. I did them with the mint Oreos and it was great! That sounds sooo good! Would that be a grasshopper cupcake? going to make these this weekend. These look delish. These look amazing!!! Going to try ASAP!!! I always place one oreo on the bottom first, add the batther and bake for 23 minutes. 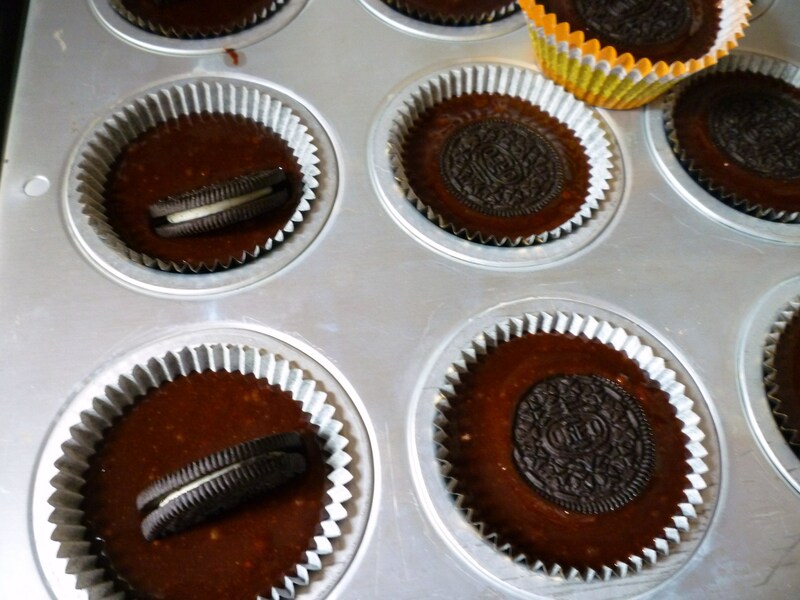 Sometimes I place one oreo, a bit of peanut butter, another oreo then batter….they look great!